Zimbabwe Electoral Commission (ZEC)chairperson Justice Rita Makarau has resigned. Justice, Legal and Parliamentary Affairs Minister Ziyambi Ziyambi confirmed the resignation yesterday, saying she did not give reasons for quitting. According to the Constitution of Zimbabwe, under Section 238, the ZEC chairperson is appointed by the President. The Constitution dictates that the chairperson of ZEC should be a judge or a former judge or a person qualified for appointment as a judge. The Constitution also states that members of ZEC should be Zimbabwean citizens and chosen for their integrity and experience and for their competence in the conduct of affairs in the public and private sector. Members of ZEC are appointed for a six-year term and maybe re-appointed for one such further term, but no person maybe appointed to or serve the commission after he or she has been a member for one or more periods, whether continuous or not, that amount to 12 years. Some political parties had in the past raised concern over Justice Makarau chairing ZEC and sitting on the bench, citing conflict of interests. 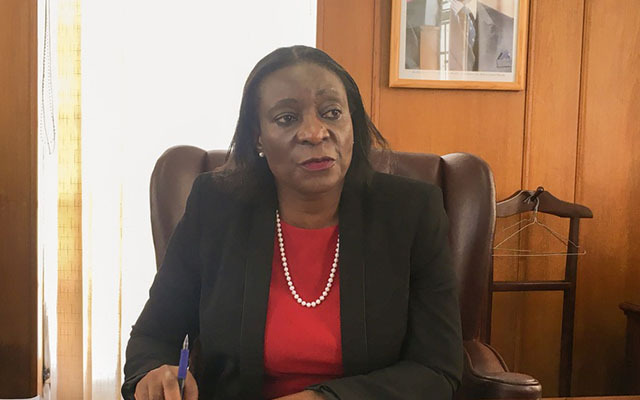 Justice Makarau is a Supreme Court judge, secretary for the Judicial Services Commission (JSC) and was also ZEC chairperson before she resigned from that post on Thursday. Former Minister of Justice, Legal and Parliamentary Affairs Minister Retired Major General Happyton Bonyongwe once said conflict of interest did not arise, as the appointments were Constitutional. “If elections were to be contested in court, there is only one role which Justice Makarau will play,” he said while responding to a question in Parliament last month. “She will be a litigant. Since the coming into force of the 2013 Constitution and the appointment of Justice Makarau as head of ZEC in the same year, numerous election petitions and challenges have been filed in the Magistrates’ Courts, High Court, Supreme Court and the Constitutional Court. Efforts to get a comment from Justice Makarau were fruitless last night.